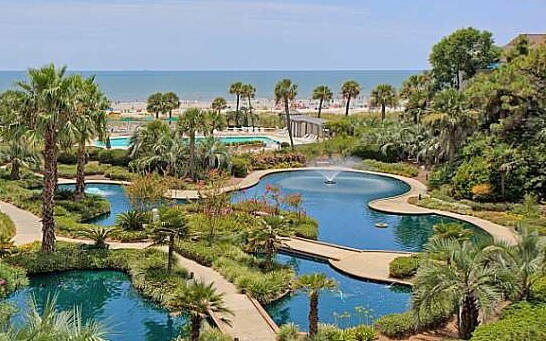 Hilton Head Island is known as a premier family-friendly resort destination located at the southernmost tip along the coast of South Carolina. The Island has received countless awards over the years including most recently being named as one of the Top 10 Family Beaches in the country. Known for its 40 golf courses, 300 tennis courts, 12 miles of beaches, and 50 miles of biking and leisure trails, Hilton Head is a unique community which has always focused on highlighting the natural environment. Ancient live oaks, palmetto trees, salt marshes, and maritime forests abound amidst the modern lifestyle of residents and visitors. In 1663, Captain William Hilton sailed from Barbados, and the headland around which he sailed at the entrance to Port Royal Sound earned Hilton Head Island its name. He explored lands granted by King Charles II to the eight Lords Proprietors whose names still echo throughout the Lowcountry community – names such as Berkeley, Colleton, Carteret. In the 1700’s, the primary industry along the coastal region of South Carolina was shipbuilding. Sea Island cotton and indigo became popular crops in the 1800’s, and prior to the Civil War, there were 20 working plantations on Hilton Head. 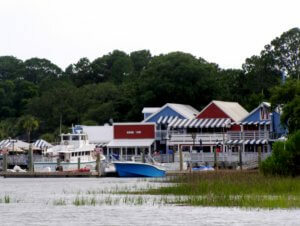 During the war, the first freedman’s village, the Mitchelville community, was established on Hilton Head. 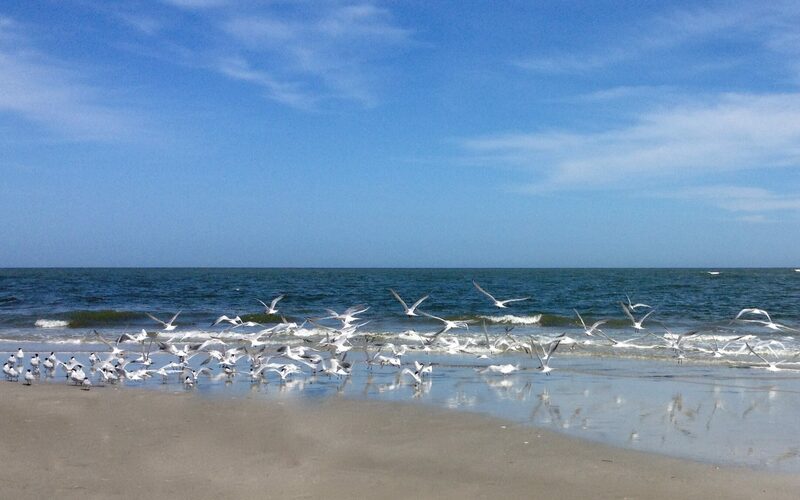 The rich Gullah heritage of African American culture is embraced and celebrated to this day on Hilton Head. In 1893, 2,000 people were killed and most of the island’s structures were destroyed by a fierce hurricane that flooded much of Hilton Head with 12 foot water surges. Just a few years later, at the turn of the century, the boll weevil infested the cotton crops and decimated the industry. 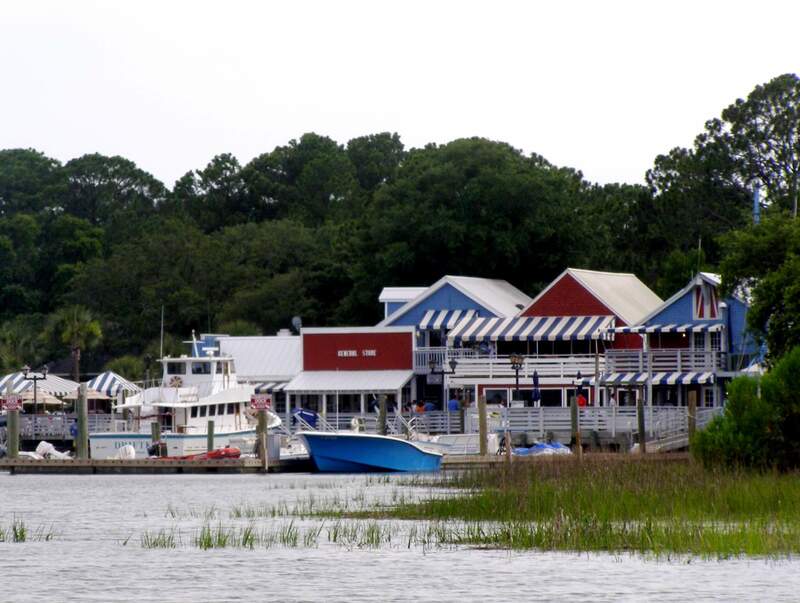 One of the only viable industries remaining on Hilton Head was the oyster factories run by the Hudson and Toomer families from the 1890’s until the 1950’s. A group of four men comprised of General Joseph Fraser, Fred Hack, Olin McIntosh, and CC Stebbins formed the Hilton Head Company in 1949 and purchased 20,000 acres of pine forest for logging at roughly $60 per acre. By 1949, there were 300 residents on Hilton Head, and a two-lane swing toll bridge was built connecting Hilton Head Island to the mainland. That same year, Charles Fraser bought his father’s interest in the Hilton Head Company and began development of Sea Pines Plantation. The first oceanfront lots were sold for $5,250. 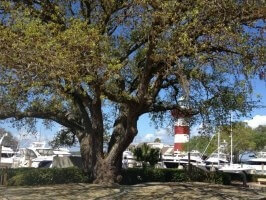 Hilton Head Island is rich in natural beauty and also encompasses a vibrant cultural and artistic community. There are almost 40,000 full-time residents and over 2 million tourists visit each year. 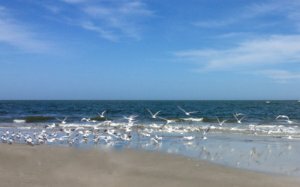 With over 250 restaurants, art galleries, museums, theater arts, community and recreational parks, boating, charter fishing, water sports, several local farmer’s markets, premier shopping, historical sites, and day trips to neighboring Savannah, Beaufort, and Charleston, there is never a dull moment on Hilton Head Island.